Another card for the Progressive Challenge Round 4 over at the Crafter's Digital Art Center. This sweet image is by Sew Many Cards Digital Stamps. I printed it out at 5x7, cut out the entire image, then traced it on plain white card stock for the back of the card. Colored with Copic Markers, Stickles, Star Dust. oh my...how fun to have a little bear card in this big size! Lovely shading and such a fun image! Love all the colors in this one. I bet he is going for someone special. Just back from Wisconsin and trying to catch up on what everyone was doing while I was away. You have made some great little Halloween cards. I can just picture your deer, fish, falling leaves and chestnuts. Thanks for sharing your thoughts. I can just feel the crispness of fall. 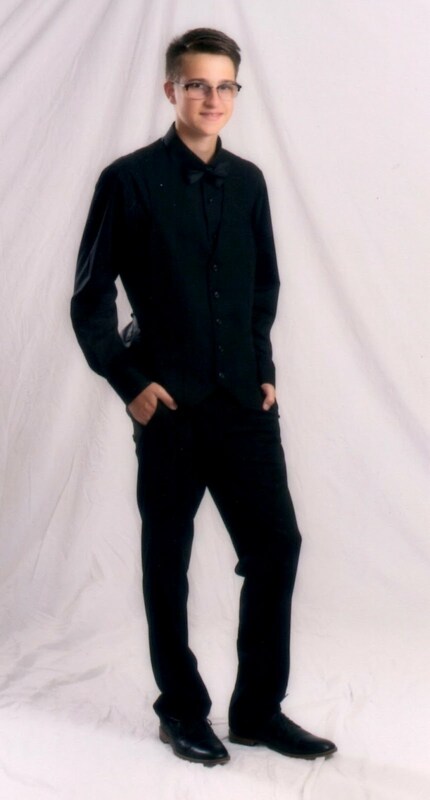 ooooooo he is very cute and very beautiful sue. Super, super cute! I love that background! The image is just so fabulous, wonderful Halloween card!! 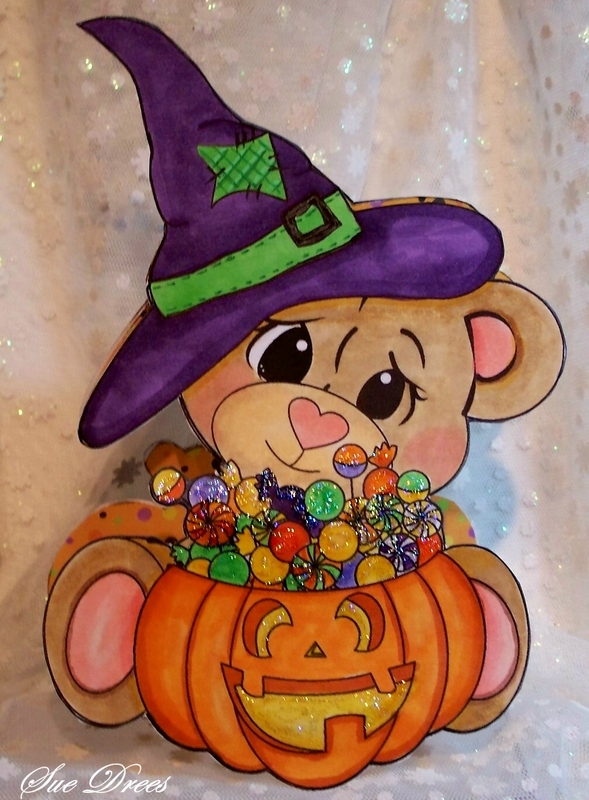 Hi Sue awwww this is soooo cute gorgeous colouring great Halloween creation..I LOVE ALL your Halloween cards & goody bag..
Is he just the cutest little guy or what? So sweet! Awesome creation! I love how you made it a bigger size too... Thank you for joining us for our 4th round at the CDAC Progressive Challenge! Hoot, Hoot! This is wonderful, your idea, the beautiful coloring, the design .... everything!! LOVE it!